The New England Patriots entered the offseason as Super Bowl champs, with Tom Brady as their quarterback, and Bill Belichick as their head coach. If this sounds familiar that’s because it is. New England won the AFC East for the 12th time in the last 14 seasons and it would be foolish to think they couldn’t do it again in 2015. Obviously, something clicked after that 41-14 blowout loss to the Chiefs last September. Everyone was writing the Patriots off after that, and all they did to squash that conversation was win 10 of their next 11 games including convincing routs of AFC contenders Cincinnati (43-17), Denver (43-21), and Indianapolis (42-20). Tom Brady threw for 4,000+ yards for the fourth year in a row and proved as accurate as he ever has (64% completion, 97.4 Quarterback Rating). 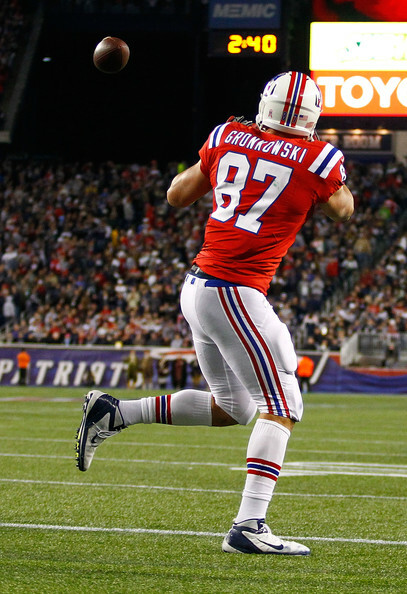 Rob Gronkowski was fully healthy for the first time since 2012 and returned to establish himself as the best at the Tight End position (1,124 yards, 12 TD’s). It really wasn’t fair the matchup problems he created on a week-to-week basis. The offense wasn’t the only unit that woke up after that September loss. From weeks 5 to 17 the Patriots defense allowed 17.5 points per game. If we narrow that down to just weeks 12 to 17 that number drops to 15.8 allowed per game. Those are elite numbers without the elite fanfare that usually comes with it. New England has serious personnel questions to answer as training camp gets rolling. Tom Brady’s suspension looms large over the offense and the team because if it stands the Patriots will enter week 1 with second year Quarterback Jimmy Garappolo as their starter. But that might not even be the biggest problem they have. Remember what I said about that 2014 defense? Well, some of the Patriots biggest losses were on that side of the football. Darrell Revis is (again) with the division rival New York Jets, Vince Wilfork is now an anchor on the defensive line in Houston, and Brandon Browner took his talents to New Orleans after the Patriots refused to pay a $2 million dollar bonus this offseason. All of this and I haven’t even touched on a backfield that lost Shane Vereen to the New York Giants or a hopeful replacement on defense, Brandon Spikes, not working out because he thought being dumb post-Aaron Hernandez was going to fly in New England (it didn’t). Would you believe it if I told you I really liked what the Patriots did in the draft and that it just might mitigate some of those departures enough to keep them atop the division? Whether you believe it or not I’m telling you I do. I think Malcom Brown fills in admirably for the departed Vince Wilfork year one and I also think the players drafted later will be put in a position to succeed immediately. The backfield has been surviving on smoke and mirrors this long and something tells me that Travaris Cadet will replace Shane Vereen without a problem. Now I won’t bore you with anymore of the minutiae of #deflategate, but the over-talked about and obnoxiously covered national nightmare to uncover who deflated footballs during Patriots games will finally (hopefully) come to an end after court hearings in the middle of the month. Whether or not Brady gets a four week suspension or not is irrelevant because I’ve watched enough film on Garappolo to think he’s good enough to hold the fort until Brady returns. What I’ve also determined is that the rest of the division finally joined the competent table (I’m looking at you, Miami), and while I don’t usually bet against a team coached by Bill Belichick and (eventually) Quarterbacked by Tom Brady, the losses are too steep on a defense that played at a remarkable level to finish last season. I think the Dolphins push for the division, the Bills steal one early, and the Patriots ultimately… miss the playoffs.